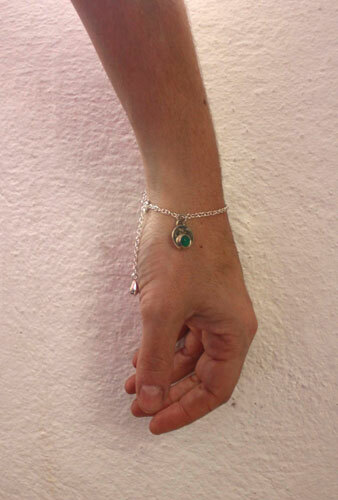 This sterling silver bracelet is made of sterling silver and of two semi-precious stones. Spring comes and changes your whole environment. We feel like we want to start something new, to get rid of old things and start fresh again. Dead branches show tiny colored flowers ready to bloom and the rain seems to revive all the things that seemed to be once dead. We are born again. 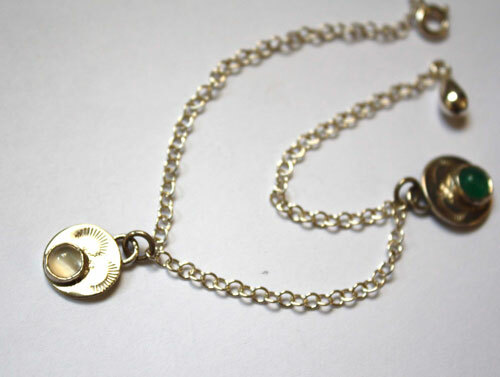 It is composed of a thin sterling silver chain and two pendants. 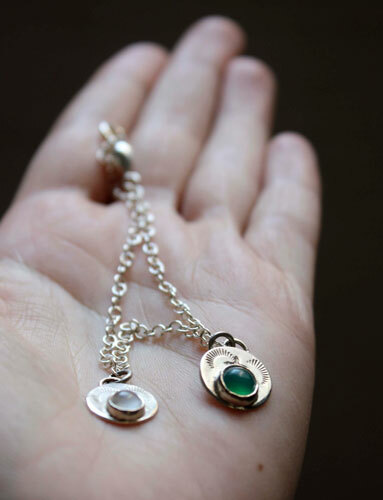 A moonstone cabochon and a green agate are set on sterling silver stamped discs. It has a very modern and timeless style. It is 20 cm long. 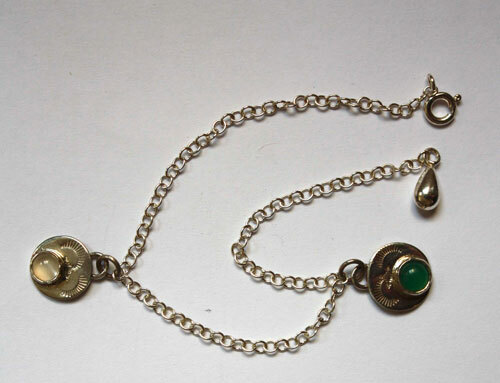 There is a sterling silver bead at the end that makes it 21 cm long. Shiny finish. 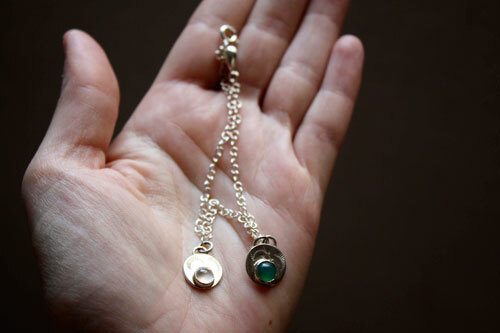 It is perfect to wear every day. It is discrete, delicate, and feminine. (If you’d like a longer bracelet, please, contact me to check I can do it and for a custom order). 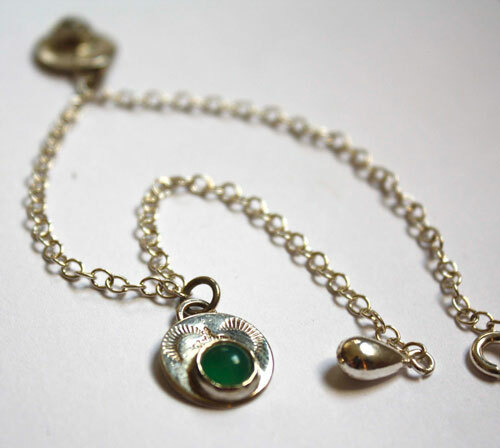 Tag: anklet, sterling silver, natural, handcrafted, vintage, old, feminine, delicate, unique gift, elegant, unobtrusive, spring, rain, moonstone, green agate, bracelet, green, white, milky, cloud, leaf, bud, growth, flora, season, renewal.